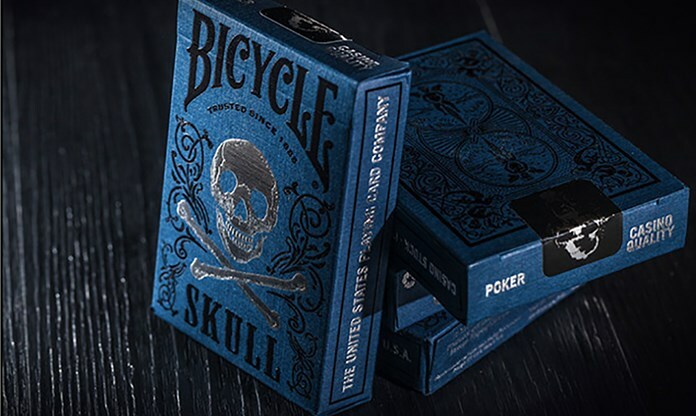 Bicycle Luxury Skull limited edition card box uses blue high-grade kraft paper, black silver double color gilt printing and the use of steel embossing technology. 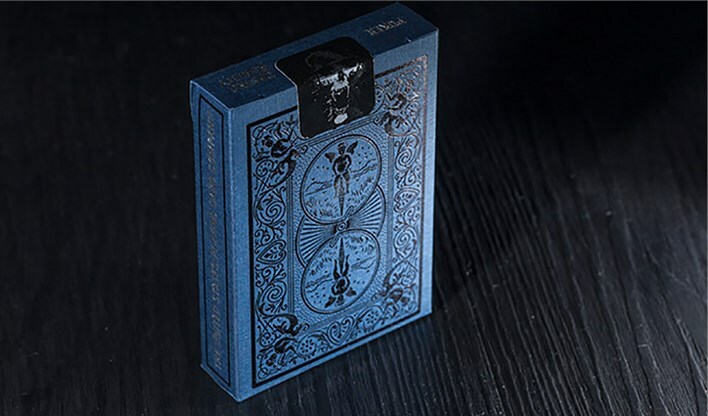 Good physical texture, a very beautiful collection of cards. 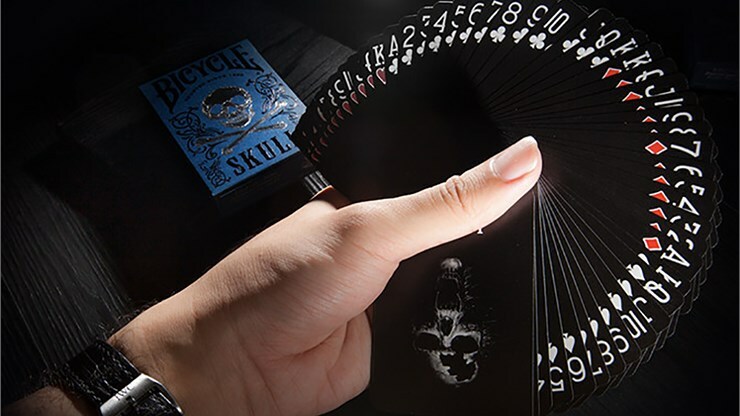 United States Playing Card Company classic bicycle back in black. Printed on Bee casino grade paper.